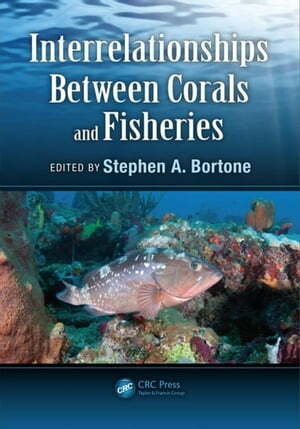 Collins Booksellers - Interrelationships Between Corals and Fisheries by Bortone, Ph.D., Stephen A., 9781466588318. Buy this book online. by Bortone, Ph.D., Stephen A.
Interrelationships Between Corals and Fisheries is derived from a workshop held by the Gulf of Mexico Fishery Management Council in Tampa, Florida in May 2013, where world authorities came together to discuss the current problems in managing tropical fisheries and offered suggestions for future directions for both researchers and environmental resource managers. This book addresses current and emerging threats as well as challenges and opportunities for managing corals and associated fisheries. It provides an information baseline toward a better understanding of how corals and the consequences of coral condition influence fish populations, especially as they relate to management of those populations. Covering a range of subject matter, most of the chapters offer suggestions for future research on the interrelationships between corals and fisheries. In addition, the final chapter presents a summary on these interrelationships and discusses managing them for the future.